The year’s hardly over and it’s been packed full of both conservation challenges and impressive wins. 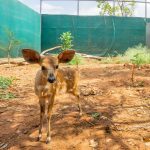 Because of our wonderful friends and amazing supporters, we’ve expanded our conservation capacity, saved an array of animals from a suffering death and successfully nurtured coexistence with people and wildlife. You’ve proved time and time again that generosity, collaboration and determination allows people to do big things. Thank You! Each day finds us fighting for an array of animals, and stewarding a culture of coexistence between wildlife and the rural communities that live their lives on the forefront of wildlife encounters. Most of these tales from the bush describe how your support influenced happy endings for wildlife and people. However, the reality of life in Africa is that inconceivable actions do happen. We’re occasionally faced with a story that ends in a deep sense of tragedy, tugging at our heart strings. I think it’s important to tell these stories as well, to remind everyone why it’s so essential to support our work. So that together, our collective, iron-clad determination can abate the unthinkable and conserve a wild Africa for future generations. 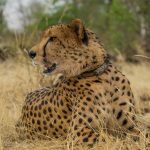 Victoria Falls Wildlife Trust announces passing of cheetah ambassador, Sylvester. There are many different ways you can support the Victoria Falls Wildlife Trust. Should you wish to make a non-monetary donation, or are travelling here and want to ‘pack for a purpose’, please see our Wishlist of items we are in need of. Visit the Victoria Falls Wildlife Trust for a 1 hour tour of our High-Care Wildlife Rehabilitation Centre and Laboratory facilities. © copyright 2018. 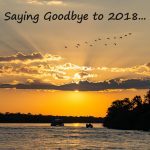 The Victoria Falls Wildlife Trust aims to make a difference. Every day.